Tutorial: Connecting a Push Button to BeagleBone Black #beaglebone « Adafruit Industries – Makers, hackers, artists, designers and engineers! Tutorial: Connecting a Push Button to BeagleBone Black @ The Adafruit Learning System. 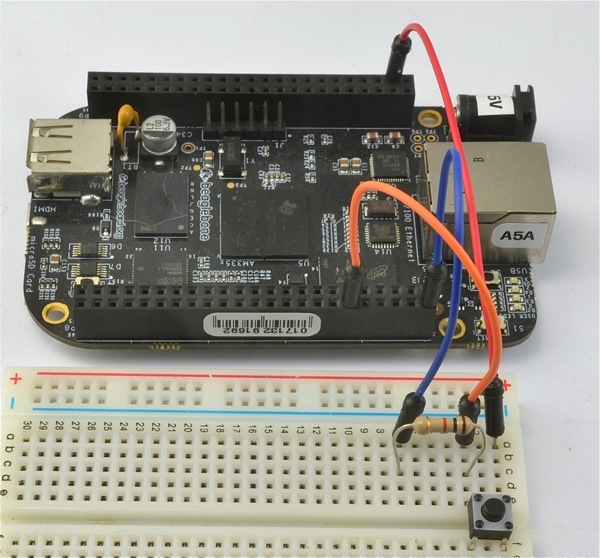 In this tutorial, you will learn how to connect a push button switch to a BeagleBone Black and have it display a message when the button is pressed. Because the BBB runs Linux, there are many ways in which it can be programmed. In this tutorial we show how to use an input pin using Python.